In September, Milan-based HBD Studios debuted L’Amage -its luxury 190m superyacht concept at the Monaco Yacht Show. 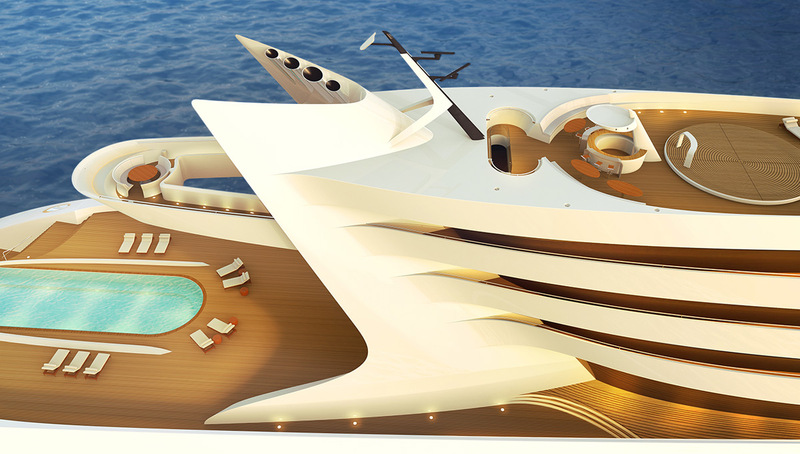 This new, futuristic vessel, scheduled to be completed in 2018 will be one of the largest yachts in the world. L’Amage measures 190 meters of overall length & 28.6 meters in width, a passenger capacity of 28 guests, 14 staterooms plus a private apartment for the owner, and 70 crew members. The elongated upper deck features an infinity swimming pool and a hot tub on separate levels, while a lower deck showcases a balcony with a fireplace so guests can stay warm in cold weather. 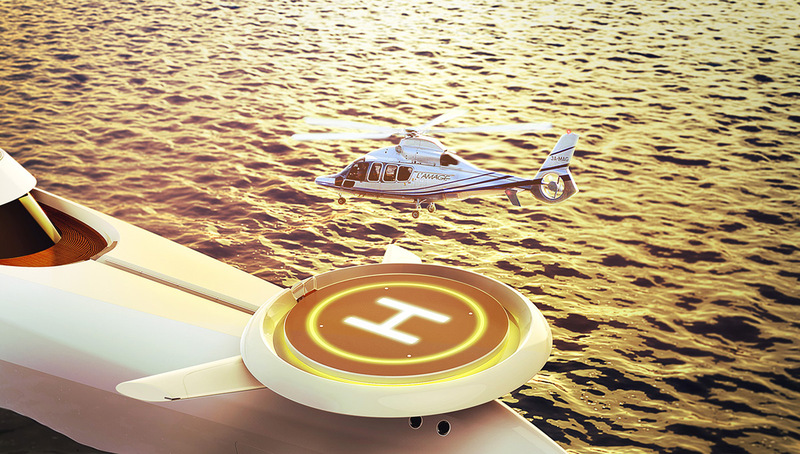 A helipad sits on the bow, sporting wings that bear flat-panel satellites and navigation lights. L’Amage is also designed to use one of the most advanced propulsion technologies available in the maritime industry called CODAG (combination of diesel engines & gas turbines) together with controllable-pitch propellers that are usually used on high-tech warships. 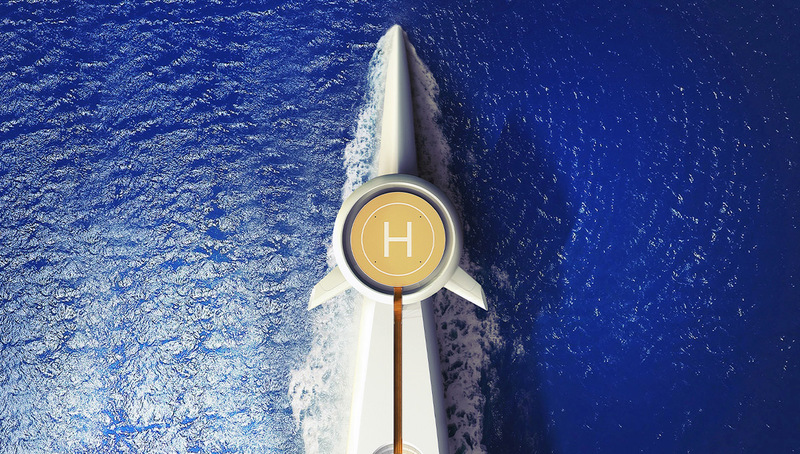 As a result, this enormous superyacht could possibly reach a max speed of 32 knots thanks to the 95,000 horsepower generated by its two massive diesel engines running together with and additional two gas turbines. This propulsion system is mostly used for warships, where a speed faster than their cruising speed is required. The fuel capacity of 1500 tons enables this vessel an approx. 6000 nautical miles of independence.